This report identify the priority needs of Senegal with respect to food and nutrition security, analyze its policies created to fight hunger, examine the resources that support these policies, and finally recommend ways to improve the overall strategy towards hunger eradication in Senegal. Senegal is prone to food insecurity based on its low level of access to and quality of food. Using food and nutrition security (FNS) data from the global Ending Rural Hunger (ERH) project and local sources, this paper argues that poor quality of food, low diversification of diet, and consequently high prevalence of child malnutrition are the country’s major FNS challenges. Vulnerability to food security is more prevalent in rural areas and in regions with low access to factors of production and markets. Senegalese policymakers should redesign FNS policies with a particular emphasis on : (i) increasing agricultural productivity through reallocation of resources towards more targeted investments in infrastructure, research, and human capital for more sustainable gains and (ii) reducing the high volatility of food production and the country’s vulnerability to environmental shocks. Senegal’s vision for economic development as expressed in its policy document Plan Senegal Emergent (PSE) sets food security as one of its top priorities. Likewise, the fight against food and nutrition insecurity represents one of the main components of the Programme d’Accélération de la Cadence de l’Agriculture Sénégalaise (PRACAS), the agricultural component of the PSE. Moreover, within its National Strategy for Food Security and Resilience (Stratégie Nationale de Sécurité Alimentaire et de Résilience or SNSAR), Senegal aims to achieve this goal through the following four strategic objectives : (i) sustaining improvement in the availability of diversified, healthy, and nutritious food ; (ii) enhancing the accessibility and affordability of diversified, healthy, and nutritious food to vulnerable populations ; (iii) reinforcing governance and information systems for food security and resilience ; and (iv) strengthening coordination capacity, prevention, and management of food crises. These objectives relate to the present analysis conducted by using data from the Ending Rural Hunger (ERH) project. Indeed, to support the international community’s commitment, the Brookings Institution’s Ending Rural Hunger project provides data on the existing needs, policies, and resources of countries as they relate to food security and the realization of SDG2. The objective of this report is to identify the priority needs of Senegal with respect to food and nutrition security, analyze its policies created to fight hunger, examine the resources that support these policies, and finally recommend ways to improve the overall strategy towards hunger eradication in Senegal. When comparing Senegal to other developing countries based on these data, the results show that the country’s food and nutrition insecurity is highly correlated to the quality of food consumption, although accessibility is also an obstacle. The low dietary diversification, and consequently the high prevalence of child malnutrition, remains a major challenge for Senegal. Furthermore, vulnerability to food security in Senegal varies according to sociodemographic and economic characteristics, place of residence (urban vs rural), and geographic region. Indeed, food and nutrition insecurity is more prevalent among rural populations, smaller rural households (fewer than 10 people), agricultural households, and households headed by women or youth under the age of 40. These trends can be explained mainly by their low access to factors of production or markets for selling their products or obtaining food supplies. Another factor of vulnerability is climate shocks. A section that presents the situation of food security and nutrition needs in Senegal, with a comparison to other developing countries based on ERH data and surveys such as the 2014 Enquête Rurale sur l’Agriculture, la Sécurité alimentaire et la Nutrition (ERASAN), the 2015 Standardized Monitoring and Assessment of Relief and Transitions (SMART), and the 2015 Demographic Health Survey (DHS). The third section that presents the national strategy for the fight against hunger. The fourth section addresses policies implemented by the Senegalese government to achieve its strategic objectives. 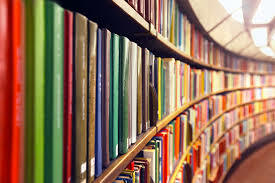 The fifth section focuses on the analysis of resources devoted towards the achievement of these objectives. The final section concludes and proposes recommendations for policymakers and donors regarding Senegal’s food and nutrition security priorities. 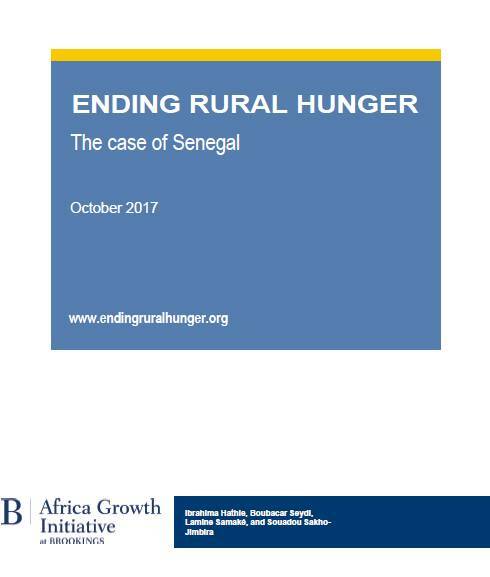 This report was prepared by Dr. Ibrahima Hathie, Boubacar Seydi, Lamine Samaké, and Souadou Sakho-Jimbira of the Initiative Prospective Agricole et Rurale as part of the Ending Rural Hunger project led by Homi Kharas. The team at the Africa Growth Initiative within the Global Economy and Development program of the Brookings Institution, led by Eyerusalem Siba and comprising Amy Copley, Christina Golubski, Mariama Sow, and Amadou Sy, oversaw the production of the report.